Check List Feature: This tool is meant to help you navigate those first, pivotal questions if you are new to the need for assisted living and long term care. Is assisted living right for you or your loved one. We help break it down here. Pricing and Break Down’s: Not sure which location may be right for you? 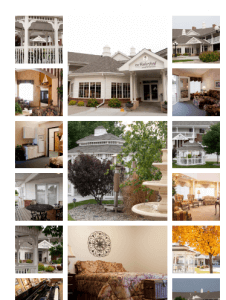 Our Community break down includes pricing and amenities. Virtual Tours and Community Galleries: We understand that before you commit to a tour or even a call, you want to take a look around and get a feel for your options and locations. Our virtual tours for each community allow you to do this. Prefer to see pictures? We’ve got that, too! Glossary of Terms: Throughout the site you will hear certain terminology as it relates to assisted living and memory care. You may be hearing some of these terms for the first time. We’ve compiled a Glossary to help you better understand and navigate some of the jargon you’ll hear during your search and placement process. FAQ’s: In our Frequently Asked Questions area, we try to tackle some of the typical industry questions that arise during the search and placement process. You want to find the right fit for you or a loved one and we want to help answer those questions.